Dr. Natascha Crandall is a psychologist and educator with a special interest in enhancing children’s growth and development through the power of media. She is the founder of Crandall Consulting, LLC. Natascha received her Doctorate in School Psychology from Teachers College, Columbia University. She also holds a Master’s degree in Rehabilitation Counseling from the University of Maryland, and a Bachelor’s degree in Developmental Psychology from the Pennsylvania State University. Natascha has considerable experience in children’s media. 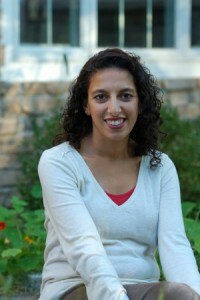 Prior to forming Crandall Consulting, she assisted and directed the education, research, and outreach activities for a number of hit shows that have aired on various networks including: Nickelodeon (Bubble Guppies, The Backyardigans, The Wonder Pets, LazyTown), Noggin (Oobi), Playhouse Disney (Go, Baby), and CBeebies (Sesame Tree). As Crandall Consulting continues to grow its international arm, Natascha has gotten some exciting travel opportunities. While she enjoys discovering new places and meeting new people, she has realized that she is far from an expert traveler and is definitely more of a homebody than she cares to admit. Although Natascha would say that she is a New Yorker at heart, the truth is that she resides in New Jersey with her tech savvy husband, two media loving/addicted children, and one horrible, naughty, very bad cat.